November already! Time for a new craft-along. During November, I will work on a craft project for the monthly theme. Around November 29, I will post my completed project. You can share a link to your project on that post or at any time during the month on this post. 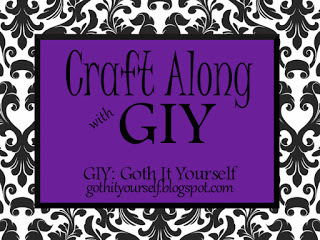 I will compile the links on the Craft Along with GIY page. The theme for November is Favorites. As always, you can interpret this broadly. The jewelry set you made is amazing! If you want me to update the link to a tutorial later, just let me know. I have a wedding DIY that will fall in this category perfectly! Stone, meet 2 birds. :) I was scared I wouldn't have the time to take part this month so yay!